Be more effective with your marketing. Image created by Freepik. As a business owner, staying in touch with your customers is the key to solidifying vital relationships and growing your business. You want to be able to have a conversation and convey your brand so they’ll return to you for their needs, rather than go to your competitors. But penning a personal message to a customer (and being able to anticipate when you might need to) can consume a lot of time. Marketing is a core function of any business or nonprofit organization. It should be high on the list of your resource investments. But that doesn’t mean it has to consume all of your work time. An effective way to keep communication open while consuming less time is through the use of marketing automation. Wikipedia defines it as the use of an automation platform to streamline sales and marketing efforts by replacing high-touch, repetitive manual processes with automated solutions. Essentially marketers can do more in less time, with greater efficiency, allowing them to focus on high gain activities while the technology delivers effective marketing results. Most marketing automation solutions today are cloud-based applications. These enable marketing professionals to seamlessly integrate off and online media, such as Direct Mail, Email, Web, SMS (text messaging), Social Media, and Mobile, to create highly personalized and unified experiences across multiple channels. With an automation campaign, you develop content that the application sends to your customers when it is most effective. The technology allows you to give your messages a human touch. Make them as personal as you’d like them to be, so your customers will feel connected to your brand. A trigger, most often an email, direct mail piece, or both. A campaign-branded landing page, with one to a few qualifying questions. You can include a download deliverable like an eBook, white paper, or other offer of value. Thank You or follow up touch(es) to continue the conversation or close the loop. Throughout the entire process, personalization is employed to greet and engage. This process gives marketers keen insight into the level of interest and/or stage in the buying cycle the customer or prospect is at. The qualifying information gathered forms a higher level lead for your sales team to evaluate and act on. This saves companies and nonprofits time and money by focusing on leads that have a higher probability of advancing in the sales or donor cycle. Whatever goals you have for your business, marketing automation can help you meet them through the development of targeted campaigns that will get you results. Marketing automation is also a means of scaling your marketing outreach. You’ll be able to reach all or segmented parts of your contact list at once in a highly personalized fashion. This allows you to accomplish your objectives of building brand awareness, educating your customers, prospecting for leads, asking for referrals, and client nurturing. Marketing automation is an effective tool that you can use as part of your marketing mix to not only generate leads, but generate QUALIFIED leads. This is an important distinction to understand. Since the number one goal of most marketers is demand generation for their sales organization, one of the key opportunities of investing in marketing automation is to be able to develop well-executed lead nurturing programs. The added capability to create rule-based multi-touch drip marketing campaigns, leading to improved results, is one of the reasons why marketers embrace the solution. Employing this strategy, the marketer is able to deliver “Sales Ready” leads to sales for immediate follow-up. The remaining prospects are nurtured until they move to the “Sales Ready” category. This approach leads to significantly improved revenue results and marketing ROI. In fact, Forrester Research reports that companies leveraging this approach generate 50% more sales-ready leads (key revenue producing opportunities), at 33% less marketing cost. While automation is a complex and layered process, here are four main reasons to invest in it. Setting up your automation software will take time upfront. But once you have developed your content, you’re saving time in the long run. Rather than crafting emails individually, the software contacts customers and leads for you. This leaves you with more time to focus on high-gain activities, developing new areas to market and grow your business. You’ll be able to generate more revenue, from increasing the number of leads who convert to customers as well as the extra time you’ll have to enhance your marketing strategy. Customers and prospects will receive content in a timely manner that is targeted to their needs, interests, and content preferences. You can reduce the quantity of cold calls by generating a supply of qualified leads. Content is specific to where each customer is in the sales process. Thus, it increases the likelihood of that person taking the intended action. Being in contact with your customers more often and more specifically increases your connection with them. It can help to create more of a dialogue, as you learn customer preferences, needs, and behaviors. Marketing automation is essentially using applications software to automate your marketing efforts. It is a digital tool that executes a predefined marketing campaign. Once the launch button is pressed, it delivers your marketing message in a systematic, consistent, and timely fashion. 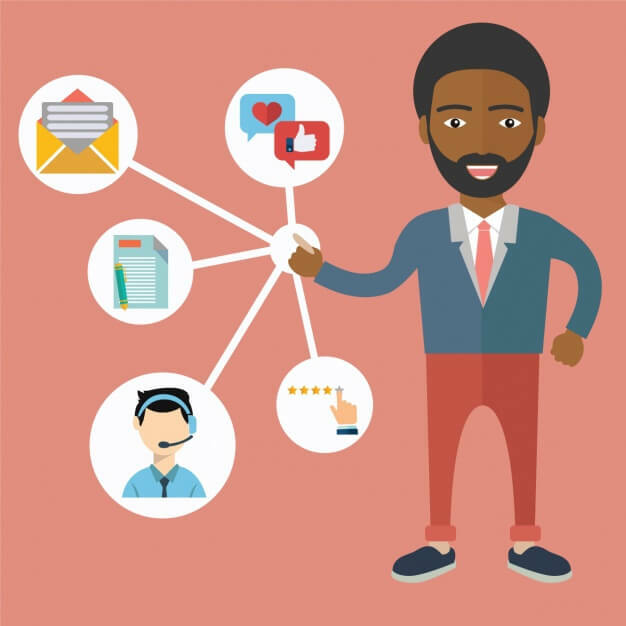 While not all automated marketing campaign applications are created equal, the more robust applications, like those employed as a service here at Paw Print & Mail, are capable of effectively using cross-channel touches, like email and direct mail, working in harmony to put your message in front of your customers and prospects in an orchestrated fashion. Contact us to get started on marketing automation for your business. As I waited in line at an event this weekend, my gaze settled on the back of a man standing a bit ahead of me. His black shirt featured the intriguing name and logo of a brewing company I hadn’t heard of before. I was instantly curious—what’s the story here? I lost track of this individual in the crowd. But his shirt stuck with me. I did a search for the brand on Google, and decided to bring along some of this beer next time I get together with friends. Without any commercials, traditional advertisements, or over-the-top marketing campaigns, this brewery earned itself a customer. If you look around your desk right now, it’s likely you’ll find a promotional product or two. Any item printed with the logo of an organization you support or company you do business with falls into this category. These promotional products may be a part of your daily routine. Consider the coffee mug you carry to work, the pen you write notes with, or the shirt you wear to the gym. The use of promotional products is an increasingly popular method of growing brand awareness. As the brewery shirt shows, putting branded promotional products out into the world can help your fans become brand ambassadors. In doing so, you’re creating more fans (and paying customers) for your business. You’re probably using traditional forms of advertising to market your business. These efforts are vital to maintaining your sales strategy. Combining current methods with promotional product advertising can help to take your marketing to the next level. 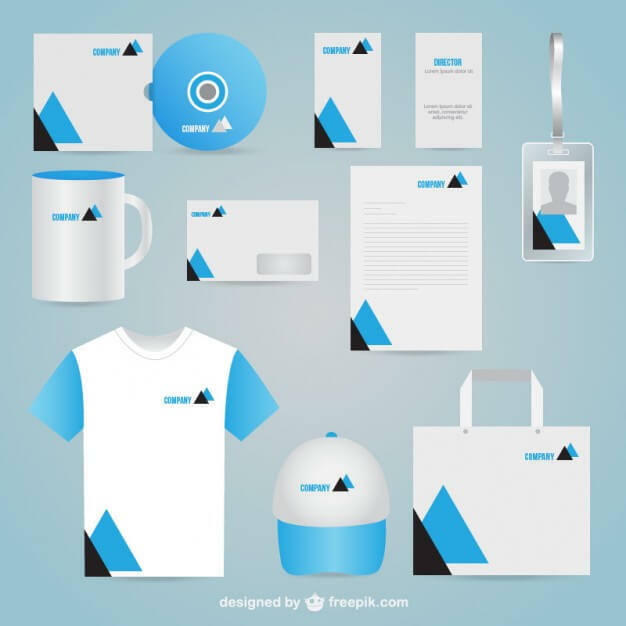 According to the British Promotional Merchandise Association (BPMA), advertising with promotional products directly correlates with improved brand recognition and increased sales. It’s also been shown to have a higher return on investment than other marketing strategies. A major reason for investing in promotional products is to create increased brand awareness, especially in ways that resonate with your customers. Consumers like to receive promotional products. As the numbers show, these products can have a big impact on spreading brand awareness and bringing in customers. But how can you ensure that your promotional products will do the same? Think usefulness. You may have a fantastic idea for a promotional product. But if consumers don’t make use of it on a regular basis, its potential impact diminishes. It’s also important to consider the longevity of the product you’ll give away. Can it be used up in a month or two? Then it’s probably not the best choice for making a significant long-term impact. Make yourself familiar with the term environmental targeting. This simply means giving away items to be used in an environment where your company’s services would be required. For instance, USB drives are a popular promo item. If you’re a tech or software company, it makes sense to give away USBs branded with your logo. When consumers are using your USB at their computers, they’ll be reminded of your company. Since they’re working in an environment in which your services would be called upon, they are more likely to make the decision to invest in your business. If possible, it’s helpful to give your customers a choice between a few different promotional items. This way, you can ensure that the items will actually be used. A survey by BPMA found the top four categories of promotional items were: the USB stick, electronic items, writing instruments, and mugs. Another way to speak to your customers is to give them an item personalized with their name or business, rather than just your logo. Promotional products can reach across time and space in ways that other forms of advertising can’t. Consumers tend to keep promotional products around for long periods of time. This creates the potential to make many more impressions of your brand than would come from a one-time newspaper or digital advertisement. Customers could wear your shirt while traveling outside of your advertising area, giving a new audience exposure to your brand. And it’s also a good thing if consumers give away promotional items. Here’s a bonus statistic: 63% of consumers will pass along promo items they no longer want rather than throwing them away. Sharing promo generates opportunities for new people to be exposed to your brand and, hopefully, become customers. Giving away a promotional item can be a great way to break the ice with a potential customer in a way that a cold call could never do. And, a gift often creates an unspoken obligation on the part of the customer to do business with you. Some consumers are even willing to switch to a different brand to receive a promotional gift. The relatively small investment you make in creating the product could lead to a valued relationship and a lot of sales from that customer down the road. Promotional products are a great way to increase the impact of your advertising, and we’re here to help. Contact Paw Print & Mail today to start increasing your brand awareness, or visit our promotional products and branded apparel online store to shop ideas for your company. We are surrounded by words. They are spoken to and by us, written to persuade us, intrigue us, and inform us. Words are a major way that we communicate. Putting words together in creative and compelling ways is a big part of what marketing is all about. But not all words are created equal. It takes time to come up with just the right copy to convey the value your brand or organization has to offer and make the case for why you are the perfect fit for your audience. Words have power. When you find the right combination, your marketing strategy can shine. So, what do you need to know to make your copy more compelling and ensure it is read? Try addressing your marketing copy from one individual to one individual. If you’re writing a direct mail letter or sending a marketing email, you can send that piece from a specific member of your organization. This makes it more personal. Addressing your copy to an individual member of your audience will grab their attention and give a sense of added importance to the piece. The recipient will feel that the piece was intended for them specifically, rather than as one of many. They will be more likely to read your copy, get the message you want them to receive, and, hopefully, act on that message. When crafting a piece of marketing content, you want your recipient to be at the center of the letter, not your business. This seems counter-intuitive, right? Isn’t the point of marketing to show the value of your company? Yes…but you want to show your audience that you know who they are, that their individual needs and contributions are important, and that you can provide a relevant solution for them. This shows the value you have for your customers and gives them a reason to value you. Use words like “you” and “your” in your marketing material. Avoid using “we,” as it can work to separate your audience from you. Instead of “we improve children’s lives” try “you can improve children’s lives.” Which one encourages you to act? Compelling copy will show your audience that you understand their needs and emotions and can address and solve those needs with your products or services. It may take more time to consider things from your customers’ standpoint. But it will pay off in the end when you’re able to connect with your audience on a deeper level. Nonprofit copy shows the value of this. When it comes to communicating with donors, you want to empower them so that they feel their support is making a positive impact, and that their continued help will allow that positivity to continue. Using “you” gives them an active role in your mission, making them feel more connected and powerful. Show them they’re the superhero that’s saving your cause, and you’ll help to ensure their continued support. When you give your recipients a sense that they can make a difference, you’re tapping into their emotions. Maybe your copy makes them laugh, feel sad enough to want to change something, or relieved that you can provide a long-awaited solution. The use of emotion is a powerful marketing tool. Whether you are looking for someone to donate to or purchase from you, they are compelled to act due to the emotional response your marketing gives them. Effective marketing copy stands out. Maybe it causes your audience to see things in a different light, or cites a surprising fact. It may seem like writing copy in the same way as everyone else is a safe bet for maintaining a conflict-free relationship with your audience. However, you shouldn’t be afraid to be edgy or striking in your marketing campaigns. You want your marketing, and by extension your business, to be remembered. The best place to kick-start your unique copy style is in the headline. Media company Upworthy found that readership of an article can vary by 500 percent just from changing the headline. The first sentence of a piece is where you are going to either lose your reader or pique their interest, keeping them reading on. Your message will not be received if you don’t hook your reader in the headline. Interesting doesn’t have to mean long-winded. It certainly means cutting out exaggeration, overused words, or excessive business lingo. Don’t feel like you have to make your company or product sound extra impressive, using cliched words like “revolutionary” or “groundbreaking.” If you understand the needs of your audience and can speak to them using the same language they’re using to describe your business, you’ll be more effective. Choose the fewest words that are truly going to say the most, so that every word counts. We all want to believe that our marketing copy is going to be read from beginning to end. But that is not often the case, at least at first. You should assume that pieces like your newsletters will only be scanned by recipients. This doesn’t mean your message will be lost. It means you have to make the most important information you want to convey the easiest to find. Recipients are most likely going to scan the headline, any photo captions, pull quotes, and bold or bulleted information. If you can make these parts intriguing, readers will go back and read more in order to dive into the context. The most important takeaway about writing good copy? Make it count. The copy you produce is your main way of communicating with customers, both current and potential. If you want to be a successful marketer, you can’t afford to have bad copy. Need help writing good marketing copy? Paw Print & Mail writes copy as a service! Click here to learn more, or contact Sarah Haselton to discuss your needs. Personalizing our direct mail letters and envelopes shows potential clients you have experience working with experts in their field. When you reflect on the different ways to get your message in front of your intended audience, you may be thinking about marketing emails, social media strategy, or hosting an event. All of these are essential to a well-rounded marketing plan. But a piece is missing. You’re forgetting direct mail. While direct mail is most effective as part of a multi-channel marketing approach, it holds real potential for boosting your business. One thing that helps direct mail stand out is the personal touch it can bring. Here’s another statistic: 70 percent of Americans believe that mail is more personal than the internet. There is so much competition for consumers’ attentions. You need a way to show consumers that you value them as distinct individuals and can satisfy their individual needs. Personalizing your mail changes the emphasis of your campaigns from what your company does to who the consumer is and how your company can fulfill the consumer’s needs. Your goal is to make a connection with the recipient, whether you are contacting them for the first time or are maintaining an existing relationship. In an InfoTrends Growth Survey, 55 percent of respondents said personalization of a mail piece increases the likelihood that they will open it. If your goal is to get your message in front of more consumers, your strategy should include personalization. While it takes time to segment your mailing list and create more specific content, you’re going to see an increased rate of recipients opening and acting on your mail piece—a significant return on investment. One of the most basic ways to personalize a direct mail piece is to use each recipient’s name. It can be placed in the salutation (i.e., Dear Bob) and throughout the piece. Names should certainly be used over addresses such as “Dear Friend” or “Dear Supporter.” These aren’t wrong. But the less personalized your mail piece is, the less likely the consumer will be to open and to act on it. General terms like “friend” are inclusive. However, it gives the sense that the recipient is one of many, rather than a specific individual that you wanted to reach out to. Depending on how much you know about the members of your mailing list, you can customize your mail pieces to be as specific as you want. For prospective customers, the information you have will vary based on what you’ve managed to gather. At the very lest, you can segment your list by geographic location. If you’re mailing to current customers, you can draw from information such as past purchases or how long it’s been since they’ve placed an order. This will affect both the type of mail you send to them as well as the wording and content of the mail piece. In one example, Target sent personalized direct mail to a group of customers who had spent over a certain amount on their Target credit card. The mailing included coupons based on customer purchase history. Target saw a 50 percent increase in response over non-personalized campaigns they had run in the past. Having the data to be able to identify distinct groups to target can have a big advantage for your marketing strategy and generate more sales. The end of a direct mail piece offers a final way to personalize the piece. Thinking in terms of a letter format, have the letter be from an individual at your company. Have that person sign the letters for a personal touch. Research shows that one of the most important parts of a sales or fundraising letter is the P.S. Very often people will look at the opening of the piece, then turn to the back to see what the offer is. If there’s a P.S. there, they’ll often read it before anything else. So make sure you always put an appealing P.S. that reiterates the most important points of your sales pitch. Remember, you want every part of your piece to work hard for you. Make sure your P.S. is doing everything it can to convert the sale. Another way to bring personalization into your mailing is to hand address envelopes. This may be ineffective for bulk mailings. But if you have a smaller mailing and can take the time, hand written envelopes could be the personal touch that encourages a consumer to open your mail piece. Envelopes are important to consider for any mailing. You may want to give some thought to the appearance of your envelopes if you are using them for your direct mail piece. Traditionally, window envelopes have been used for mail like bills. Using them for your marketing mail can have different effects. Because they appear like a bill, these pieces are almost guaranteed to be opened; however, the recipient may be unhappy if they perceive your use of the envelope as a deception. You can also make your direct mail more interesting by creating a teaser, an image or phrase to print on your envelopes. The hard work you’ve done to personalize your direct mail piece will be lost if the mail is unopened. Your envelope has to be enticing enough for the recipient to become curious about what’s inside. A teaser could include your logo. It should suggest what is inside without revealing too much. And, never falsely represent what the recipient will find if they open the envelope. As with any marketing strategy, you’ll want to test different approaches to personalizing your direct mail campaigns. The basic tenet of incorporating personalization in your direct mail pieces is to show value. Including aspects that are personal to a recipient gives them the sense that you value them as a unique customer. By using your direct mail to speak to consumers’ individual needs, you are also helping to show the value your business can hold for the consumer. This gives them a reason to look for you for their next investment in goods or services. Direct mail services are a big part of what we do at Paw Print & Mail. Contact us today to make your next direct mail piece the best yet. With so many marketing channels available to spread your company’s message, and so much competition, your business needs something to help it stand out from the crowd. One strategy you can adopt is to develop promotional products. Promotional products have a rich history in America, dating back to 1789, when a commemorative button was created for George Washington’s campaign in the presidential election. Since that first button, the promotional products business has grown into a booming industry with an annual revenue of over $20 billion. Why are so many businesses jumping on the promotional products train? Because it’s effective. Including promotional products in your marketing strategy can increase overall marketing success by up to 44 percent. Promotional products are essentially another form of advertising. This category consists of any item featuring your company’s name, logo, or slogan. You probably have many of these kinds of products around your home or office. Think t-shirts from events, a branded stress ball, and numerous pens from all the businesses you frequent. Why Should You Use Promotional Products? Giving promotional products to your existing or potential customers is a great way to increase brand awareness, grow sales, and improve your return on investment. According to SAGE, one of the top promotional product companies in the U.S., using promotional products creates a more favorable impression of your company over 50 percent of the time. In one case, 55 percent of people did business with a company before receiving a promotional product, while 85 percent chose to work with the company after receiving the product. Plus, 8 out of 10 consumers own at least one promotional item, and 89 percent of consumers can remember the advertiser of a promotional product they’ve received in the last two years. Often giving something for free to a consumer creates a sense of obligation. They’ll be more inclined to return the favor and do business with your company. It’s all about brand awareness, getting your name out there so more consumers know who you are and what you do. One of the most important factors in the development of promotional products is how useful they are to the consumer. SAGE reported that 77 percent of consumers cite usefulness as the top reason for keeping a promotional item. Keeping the item also means keeping your brand close to the consumer. It’s important to consider who your audience is and how they will be using the products you give them. You can use environmental targeting, giving out items to be used in situations where your company’s services would also be called upon. That way, your logo will be right in front of a consumer when they’re looking to make a purchase. Think mouse pads if you’re a tech company, water bottles if you’re in the fitness industry, or dog bandannas for a pet store. If you have the resources and opportunities, you can develop a few different products. That way, the consumer can choose what is useful to them. They’ll be more likely to use the item and more likely to remember your brand. When developing these products, time is an important factor. In general, you want products that can be used repeatedly over a long period of time. If a consumer can use up your promotional product in a short amount of time, it won’t have the impact or sales potential of a more lasting product. The longer your promotional product is around, the greater the chance of increasing brand awareness for a wider audience. A great way to start marketing your promotional products is to have your employees use them. Some of the most popular branded products on the market right now are branded apparel items. Clothing featuring your brand can be made to sell or give away at events. Or it can be worn by your employees. Branded apparel helps to build an image of your company that fosters positivity for both employees and consumers. Having employees wear branded apparel nurtures brand identity and creates a sense of unity among your work team. Unity promotes communication and a stronger connection and dedication to the company mission. This sense of team spirit can increase productivity and grow revenue. And it’s another chance to spread awareness of your company as consumers interact with your employees. Consumers tend to associate branded apparel with professionalism. In the consumer mindset, these are companies that can be trusted, produce high-quality work, and are authorities in their fields. Designing and creating a high-quality apparel product can go a long way toward creating a favorable and memorable public opinion of your business. If you’d like to make promotional products a part of your marketing strategy, contact Paw Print & Mail about our branded apparel and promotional product services. In a perfect world, there would always be people seeking out your business, in need of the services you provide. You’d have so much business that you’d never have to worry about generating new leads. Real life is rarely like that. Even if you’ve got a solid client or donor base and your services are in demand, it is a good idea to have a focus on generating leads as part of your marketing strategy. If you want to increase sales or fundraising for your business or organization, as well as engage new people in what you have to offer, you’ll have to develop a strategy to connect with those who know little to nothing about your company. And while your efforts may seem unsuccessful at first, time and practice will help your business to grow. In 5 Steps to Growing Sales Automatically, I outline a five-step process for enhancing your marketing strategy, steps I have put into practice to enhance my own business, that work! A recent way I’ve successfully connected with new prospects is by developing a mailing packet to send to a particular vertical market. In order to increase growth in your business, you need to have a solid understanding of where your current sales are coming from. Did you know that 5 percent of your customer base can provide over 50 percent of your sales? Often there is a trend among these customers that you can focus on when marketing. It may be where they are located, the size of the business, or age of the consumer. Whether you are a B2B business or a B2C business, there are ways you can find your “perfect customer” to better tailor your marketing efforts. When you’re ready to upgrade your marketing strategy, we can help you find your perfect customer. Developing our marketing packet began with examining our customer base to determine who is utilizing our services the most. Examine your sales from the past year to find out who is making up that top 5 percent. Then, define those customers. Since we work from a B2B perspective, we asked questions about company size, location, annual revenue, and market niche, to create a picture of the perfect customer. Once you have that definition, you can better determine your sales focus, with a clear picture of which leads you should specifically market to. Once we determined that we wanted to reach out to more of these particular customers, we identified what kinds of services they need from us—what we can provide them with to best match their goals and objectives. To do this, focus on why current customers that fit the perfect customer niche are using your company. Ask them what services they are happy with, as well as what they may need more of from you. This can benefit your current client base, too. Their answers can help you to reach out to new customers. And, you can improve the experience clients are having with your company, which will in turn boost revenue. Knowing the kinds of services our current niche clients utilized, we wanted to provide prospective clients with marketing materials that would highlight how we could best meet their needs and help them to meet and grow beyond their expectations. You know who your perfect customer is and, in general, what they will want from you. Now, you have to figure out the best way to find and connect with them. There are many marketing channels to choose from. The ones you ultimately use will depend on the demographics of your target audience. Using multiple channels, with a consistent message across the board, can be an effective method. We made use of data channels in order to find perfect customers to market to. We were able to take the criteria that make up the perfect customer, and find businesses which fit those categories. One way to bring all of these elements together is through the use of direct mail. 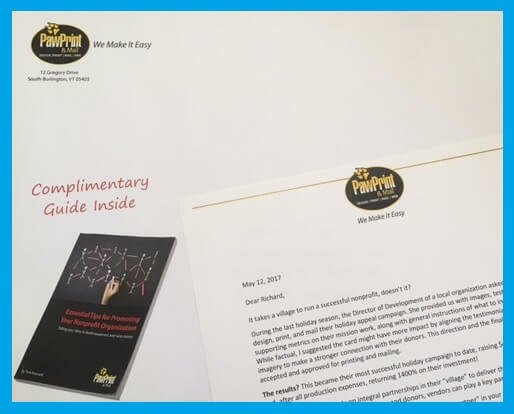 Since Paw Print & Mail is a printing company, using direct mail and including examples of what we could offer potential customers was how we chose to reach out to new prospects for our particular campaign. 56 percent of direct mail recipients feel value from a piece of direct mail, and showing potential customers both that you can offer them value and that you value them is a major factor in turning a prospect into a client. Our direct mail piece makes use of personalization to show value. The packet consists of a padded folder holding a pad of graph paper personalized with the company’s logo and contact information. There is also a letter addressed directly to the prospective client, an insert detailing our services, and a business card so they can contact us for more information. The packet itself is eye-catching, due to its size and originality. In constructing it, we put together our knowledge of what we know these companies need. The folder itself is a useful and relevant tool for this audience, as is the personalized pad. The pad, business card, and insert show that we know what clients in that line of work need. These items also demonstrate the quality of the work we produce here. Even if it seems like direct mail is not the right method for your business, don’t discount it. No less than digital giants Google and Amazon are two of the top users of direct mail! The culmination of all this work is a contact follow up plan. If you are inconsistent about when and how you follow up with prospective clients, it’s hard to know if your strategy is effective or not. We have developed a strategy and schedule for mailing and contacting our potential clients. It’s important that your business or organization make a plan and have everyone on board before you begin your campaign. Our campaign has gotten a positive response, because we tailored the value proposition to what these clients need and understand. It takes more time, work, and money up front to develop and implement a campaign like this. But you can greatly increase your response rate and ROI while making a strong first impression on potential clients. Contact us to make an appointment to discuss and strategize a plan to generate more leads for your business or organization. We live in a world where technology is advancing faster than ever. Making use of technology has allowed information to spread and be gathered on a previously unseen level. Though info has long been collected for many reasons and across many industries, “data” is now a buzzword that has taken on new meaning. We worry about protecting data and recovering from leaks, analyzing data and paying to access it. Data has become a cornerstone of economics. 40 percent of companies around the world are using big data analytics in their marketing strategy. We create data with every web search, every phone call and every purchase. But what does data mean for business owners? And how can all this information be used to make a business more successful? Data has strong potential to strengthen your current marketing strategy. Having this information to work from can be an integral part of finding your target audience and increasing ROI. One way to help target your marketing campaigns is to directly reach out to your audience. Allowing those you’ve already built a relationship with to determine their preferences for the type and amount of content they receive from you can be a way to strengthen the relationship and ensure their continued interest in your company. This data can be used to target specific content to more specific audiences. It is also possible to develop a database based on information you already have about your clientele. Keeping track of what services or products your consumers are utilizing can be valuable data. It allows you to more deeply consider who may be interested in what, as well as how your services could be altered and improved to generate more interest. Making use of data for direct mail and email campaigns can lead to a higher response rate. By using it, you are focusing on an important term: relevance. Data can tell you which recipients will likely be more interested in your particular campaign, based on how relevant it is to their situation. By streamlining your campaigns, sending to fewer, more receptive members of your audience, you can save money by not sending to uninterested clients. And, you can increase response rate and potential results, as you market to those who most need or want your services. Business is also about generating leads. There are external sources from which you can gain access to data. You can pay certain companies for access to lists containing information about consumers and businesses that can be used to find new prospects and areas into which to expand. All of these techniques allow you to segment your marketing content into variables like interest level, gender, and geographic location. You can even separate businesses by size, annual revenue, and trade. Data has power when it comes to marketing, and it has power under the law, too. Issues related to privacy go hand in hand with data. It’s important to respect both the laws surrounding how you can use data and the promises you make to your customers about how their information will be used. Do keep in mind that, according to a BlueVenn study, 81 percent of marketers only collect strictly necessary data. But 61 percent of consumers would be willing to give up some of their privacy in exchange for better products and services. How Else Can You Use Data? There is an obvious benefit to using data to increase campaign response rates and better connect with your audience. But it can also have benefits when it comes to the internal workings of your company. It is possible to collect data about almost anything to do with your business, and this is a valuable tool. However, it is just as important to know how that information can be used as it is to collect it. Depending on your industry, different information will be gathered about different things. But according to a study by BARC, the Business Application Research Center, there are four main benefits of data analysis. These include being able to make better strategic decisions, improving control over operation processes, understanding customers better, and reducing costs. Once you know what the data is telling you, it is important to consider it in light of how the information will improve your business, and what you are going to do with it. 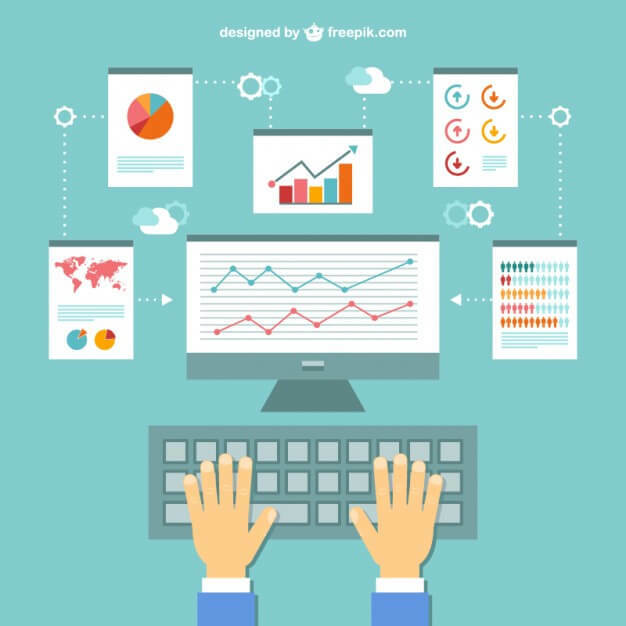 You may want to use software that can better help you to visualize the data you are collecting and determine how internal data can be used with external, client-centered data to strengthen your company as a whole. The BlueVenn report found that 64 percent of marketers in the US and the UK believed they should collect customer data, but shouldn’t analyze it on a daily basis. 51 percent of marketers felt data analysis took too much time away from the more creative aspects of marketing. Just as it is important to find a balance between how much personal information you divulge and make use of, it is important to find the right balance between analyzing your data and implementing the knowledge you have gained from your analysis. If you’re looking to make data analysis a larger part of your business, consider hiring an expert or training your staff to make the most of the information available to you. Data collection and analysis can be implemented across any industry and any size company for a variety of purposes. It will continue to add value to your company as tools and processes become more streamlined. Author PPB-AdminPosted on May 24, 2017 June 5, 2018 Categories B2B Marketing, Direct Mail Marketing, Email Marketing, Marketing Strategy, Sales StrategyTags Data Analysis, Increased Response Rate, Lead Generation, Return On InvestmentLeave a comment on What’s All the Buzz About Data? Are you interested in the best possible return on investment in your direct marketing efforts? Start by cleaning up your contact lists. In the marketing realm, there have never been more ways to connect with your audience. Tested methods like direct mail and email campaigns are still holding their own. An integral part of these campaigns are your recipients. Sending direct mail and marketing emails can bring a lot of attention to your organization or business. But this will only work if you are reaching and connecting with your intended audience. If you aren’t taking the time to maintain your contact lists, the success of your campaigns could be in jeopardy. To make your message as effective as it can be, you’ll want to practice list hygiene. It’s impossible to ensure that every email or piece of mail you send out will reach the person you intend. However, practicing list hygiene is an effective way to improve delivery rates so that you are reaching as much of your audience as possible. If you’re using a multi-channel marketing approach, you’ll have a direct mail list and an email list to keep updated. Both can benefit positively from list hygiene. Direct mail campaigns are an effective marketing tool, even in our increasingly digital age. 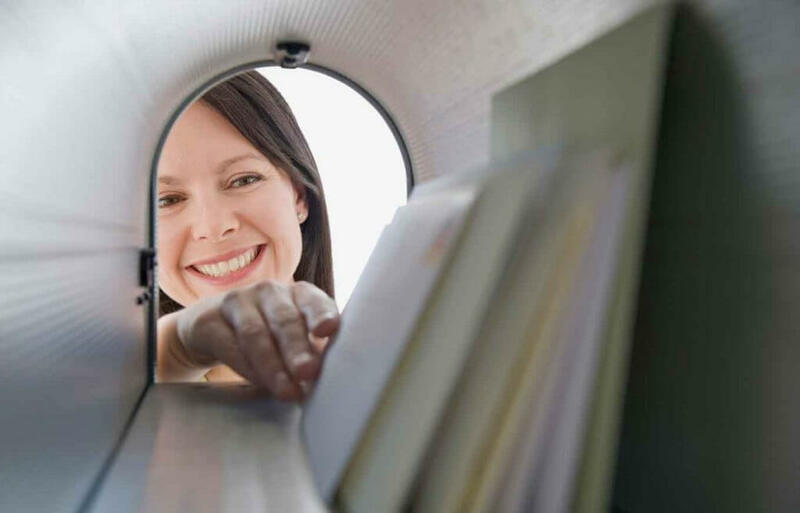 In addition to giving recipients a feeling of personal connection with your business, direct mail pieces are opened by 70 to 80 percent of recipients, even when they consider it to be junk mail. That represents a big opportunity for your business to connect with potential customers. In order to get the highest possible response from your direct mail campaign, you want to ensure that the names and addresses you have on file are current. Annually, 1.3 billion articles of mail fail to reach the intended recipient. Every piece that is returned to you costs an average of $3 to reprocess and resend. That can really add up if your list isn’t up to date. Incorporating list hygiene practices can be a way for your business to save money. Improving deliverability of your mail reduces the number of returned mail pieces. You must either pay to resend these once you have the correct address information, or put them down as lost revenue if the information cannot be found. If you’re environmentally minded, sending mail that you know will be delivered means saving resources. You’ll be printing fewer mail pieces and fewer will return to you unopened. Here at Paw Print & Mail, two practices we use to ensure the success of our direct mail services are the Coding Accuracy Support System (CASS) and NCOA (National Change of Address). CASS Certification is a software which standardizes addresses in your database so that everything is spelled and formatted correctly. It will also remove any addresses that lack information or are likely to have an issue being delivered. According to PitneyBowes, there are errors that could impact deliverability on 23.5 percent of mail. You’ll want to thoroughly check the addresses on your list. NCOA connects your mailing list with a USPS database, so that your list will have the most current address information. 40 million Americans will change their address every year. So, keeping up to date with a program like NCOA is essential to ensure what you send will be delivered to your intended recipient. With email, there are no added postage and processing fees as with returned direct mail. However, there is always a risk that your marketing emails will bounce back. Like postal addresses, email addresses change as new accounts are created and old addresses abandoned. A bounce can happen for a number of reasons. Hard bounces are due to the recipient blocking your emails, deleting their email address, or sending to a domain or address that no longer exists. Or it could be a soft bounce, caused by a full inbox or trouble with the size of your message. If you’re getting a bounce, you should delete those emails from your list. And if you’re finding a group of subscribers that never open or interact with your emails, consider taking them off the list too. Not only is including them ineffective. It also has a negative impact on your email metrics, such as open and delivery rates. You can also make sure you are mailing to an actual person. Generic company or organization emails are not as likely to interact with your content as email addresses that belong to a specific individual. But, wait! Before you take out a large chunk of your email list, there are a few things you can do to try to keep these contacts in your audience. Send out emails specifically to re-engage inactive members of your audience. Such an email could contain options to keep receiving emails from you, to change the type of emails they prefer to receive, or to unsubscribe entirely. Even if many choose to unsubscribe, it’s worth taking the time to respectfully reach out in this way, as there is always a chance recipients want to stay aligned with your brand. Give your mailing list a second chance to opt-in to your emails. You could include a special offer in the email to pique interest. Having recipients confirm that their email is correct and they are interested strengthens your contact list. Try segmenting your lists into sections that will receive different content based on their interests and affiliations. Send a survey to subscribers, asking what content they are interested in receiving from you. Sending relevant information increases the likelihood of your emails being read and interacted with. The unsubscribe button is an important part of any email campaign. You hope everyone will want to receive what you’re sending them. But, this is rarely the case. If you include the option to unsubscribe, it’s important to follow through. Emails can help build positive associations with your brand. Sending emails to a user that has unsubscribed can be detrimental, generating negative feelings about your practices. You can use a third-party service like those for direct mail to help make email list maintenance easier. Such systems can automatically filter out addresses that are incorrect or always bounce, monitor your metrics, and schedule different kinds of campaigns. The success of list maintenance lies in being proactive with your strategies. Find ways to make your list more efficient and effective, rather than being reactive, struggling to revamp your campaigns with a stale and outdated contact list. 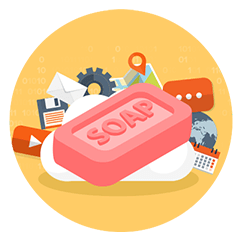 Consistently following good list hygiene practices will increase the effectiveness of your campaigns and make connecting with your audience more fruitful. Since the emergence of email in the mid-1990’s, much has been expressed comparing traditional direct mail to email marketing. 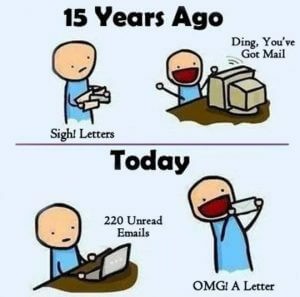 Dubbed snail mail, the ensuing years have seen a decline in direct mail and a corresponding explosion of the use of email. This is no wonder given the ease of deploying email. With a couple of extra clicks, you can increase your reach from only one recipient to hundreds or even thousands. 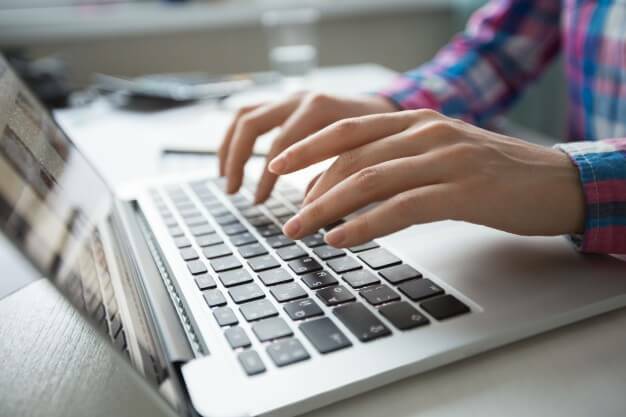 It may seem like email campaigns are the most efficient method of reaching your audience—wide ranging and instantaneous. The use of email marketing is compelling and both popular and effective in its own right. But it suffers a bit from its own success. And while direct mail is not as prevalent as it was for decades, its inherent differences and qualities compared to email find it making a comeback. Would it surprise you to learn the average lifespan of an email is only two seconds? According to Proactive, a UK marketing firm, while digital communications have a lifetime of mere seconds, the average lifespan of a direct mail piece is 17 days. And, Proactive found that 75 percent of people could recall a brand directly after receiving a piece of direct mail, while only 44 percent of people could after viewing a digital ad. Consider, too, that prospects are 10 to 20 percent more likely to convert to a brand or business due to a direct mail offer than an offer by email. Yet, email marketing continues to grow in use and numbers. There are many factors in its favor: ease of use, low cost, and expansive reach potential. All very compelling for sure. But all this meteoric success comes with a price: 70 percent of those surveyed by Proactive felt they received too many emails. And, 57 percent of abandoned email addresses are due to users receiving email overload on those accounts. You don’t want a potential customer to remember you as the company that sent them too many emails. As for email’s reputation of being a low cost medium, surprisingly, email was found to be more expensive per lead than direct mail ($55.24 vs $51.40). However, the return on investment, or ROI, for email is higher for email marketing. For every $1 spent in an email campaign, Proactive found a return of $38 to the company, with a $7 ROI per $1 spent for direct mail. This highlights the different ways that email and direct mail can work. Direct mail has a lower ROI, but it is less expensive to acquire a new customer. Proactive’s survey takers used the words “important,” “formal,” and “personal” to describe their feelings about direct mail. “Personal” is a word you should take note of. Making a personal connection with a potential customer can set your strategy apart from the crowd. And if it’s your first interaction with them, that connection can make a big difference between the customer deciding whether to build a relationship with you or pass you by. What should you take away from this? It’s “smart” to keep email as a part of your marketing strategy. Use direct mail to connect with new customers and email to reinforce that connection and keep the interest in your company alive. Direct mail and email both have an important role to play. Customers in the survey agreed there is a need for both forms of communication. Items such as brochures/catalogs, welcome packs and loyalty rewards are preferred in mail form. General news and updates, confirmation messages and reminder messages are best received by email. Because customers react differently to different forms of communication, it’s important to use direct mail and email in conjunction with each other. Of those surveyed by Proactive, 51 percent preferred the combination of mail and email, and 65 percent want to be able to explore a physical and an electronic source before making a commitment or purchase. And when a business uses direct mail and email to market their products or services, customers will spend 25 percent more than a marketing strategy that uses just one method or the other. Proactive found that 56 percent of respondents felt “valued” by direct mail, while only 40 percent felt valued from an email. “Valued” is a world like “personal” that you should keep in mind when developing your multi-channel marketing strategy. A personal connection can make the customer feel valued, and in turn, your company will be valued by the customer. Despite statistics that show direct mail is effectively outperforming email in many areas, email can be successful in gaining awareness of your brand and making your other marketing strategies more effective. Both direct mail and email can and should be considered parts of an effective multi-channel marketing mix. If you want to make direct mail a more compelling part of your marketing strategy, contact Paw Print & Mail so we can help you to maximize your potential.